For regular touring all but the quickest of setups can quickly become tiresome. 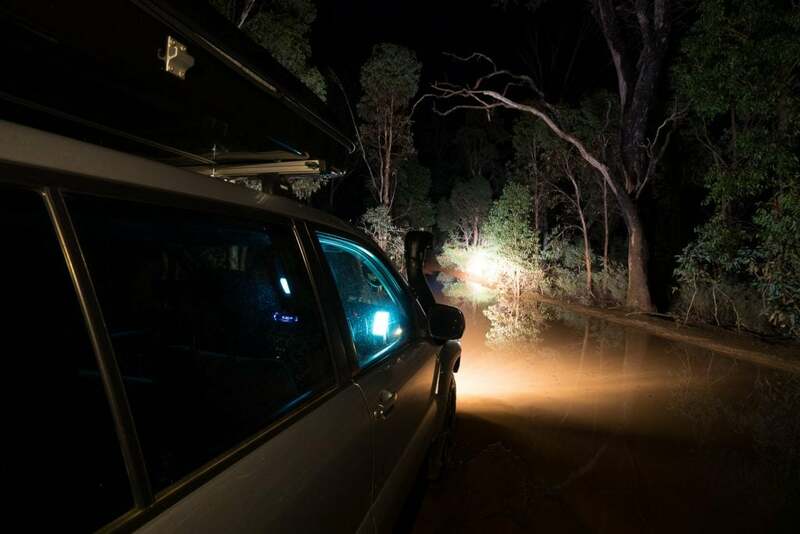 Add some mud, wet weather and a couple of late finishes and ‘ease’ may well be the difference between enjoyment and questioning our recreational choices. 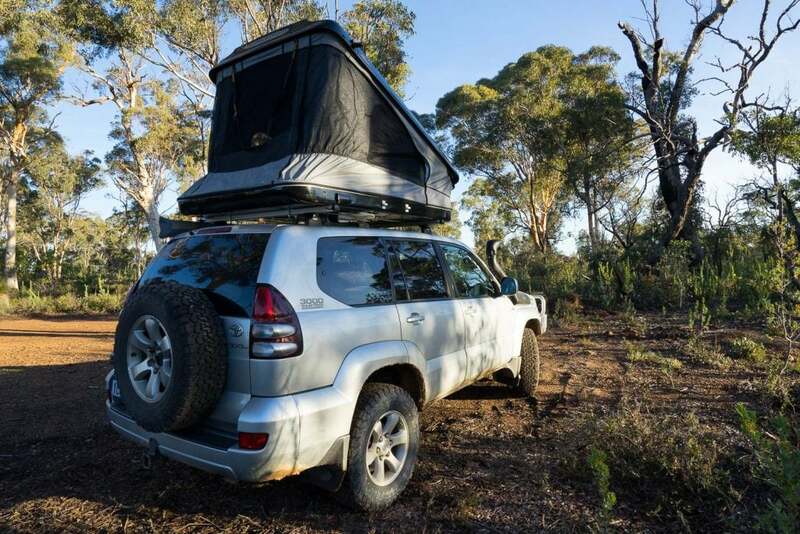 Having first spotted a James Baroud tent while in the Kimberley a few years back (setting up a ground tent each day…) we were keen to one day try one. 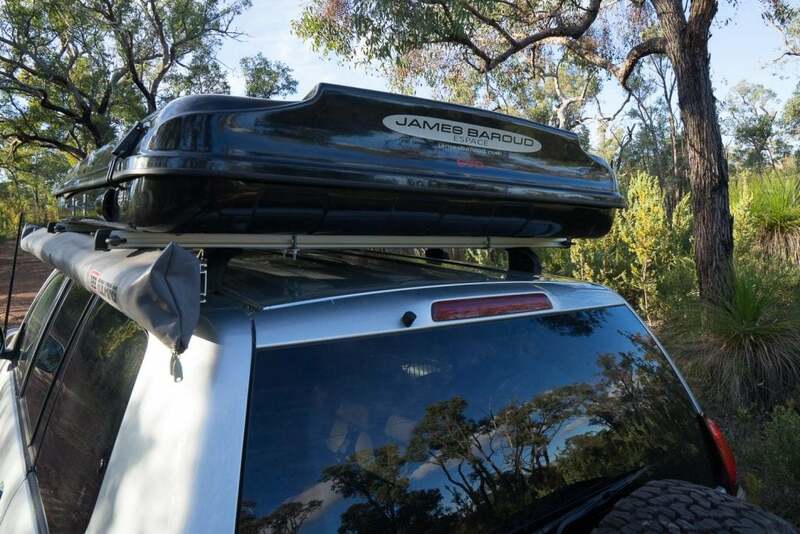 So we were excited to have one bolted on our roof racks ready to go. James Baroud tents are all about ease. ‘Popping’ the tent is almost a non event – in a good way. After simply unlatching the top shell ( two clips front and two back) the gas struts politely take over and the tent is up. From an ease perspective, it’s worth factoring in bedding. The bottom half of the hard shell is filled with a comfortable mattress, which leaves the top half as a spare space for the bedding. Two pillows, a winter doona (as well as the access ladder) all fit inside with ease. Come bed time (or siesta) everything is ready to go! Importantly all of this gear is out of the vehicle which leaves more room inside for other gear, and makes it simpler to stay organised. 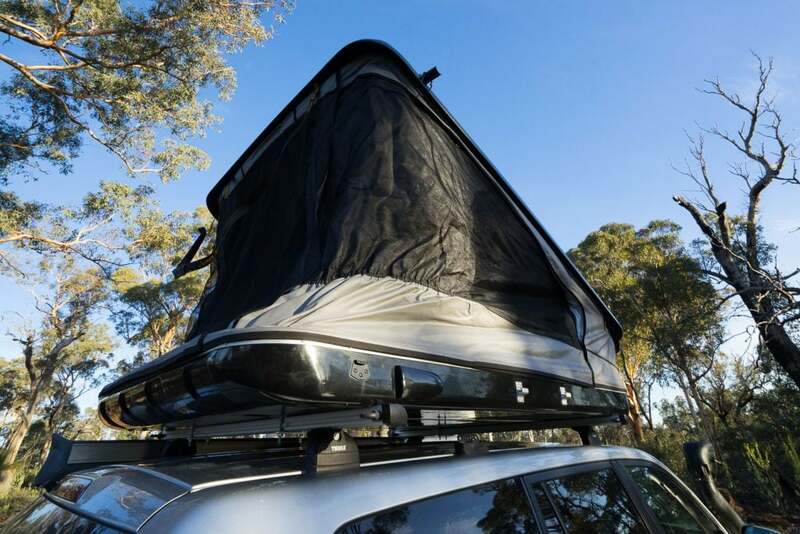 This is different from many of the soft style roof top tents that hinge in half by design and usually do not have room for the bedding to stay in. 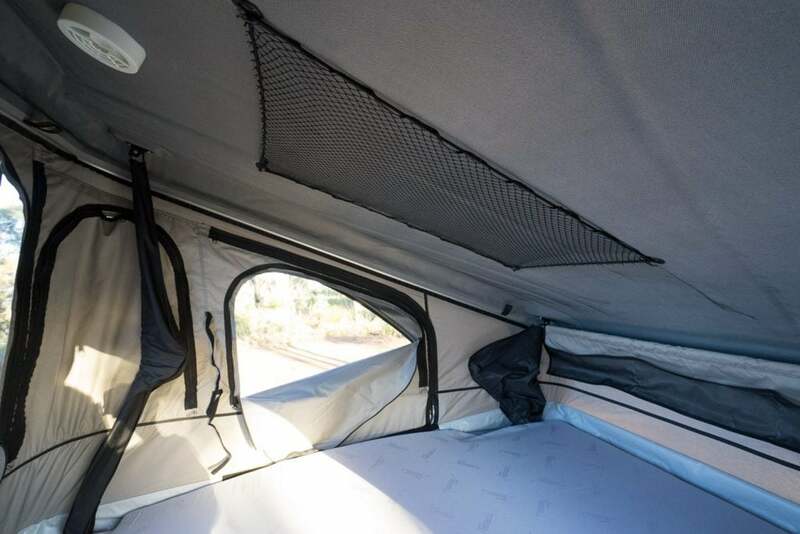 Inside the Espace Evolution is roomy and comfortable. 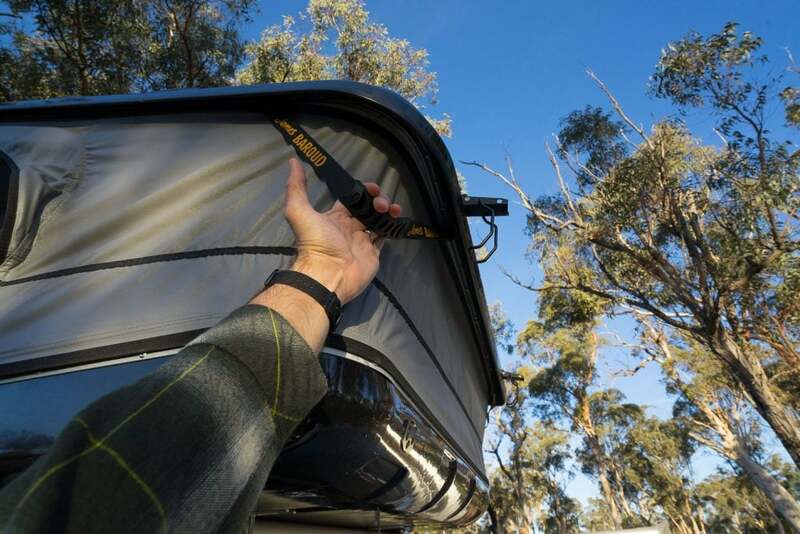 All of the windows have mesh and waterproof covers – and all are adjustable from inside the tent – so it’s easy to adjust the warmth and ventilation. 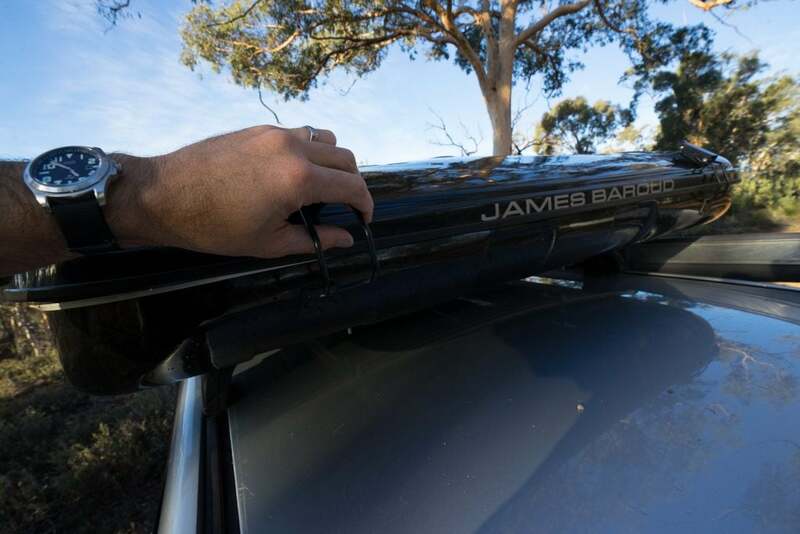 In addition the James Baroud tents have solar powered vents to remove heat and condensation from within and improve comfort in more difficult conditions. 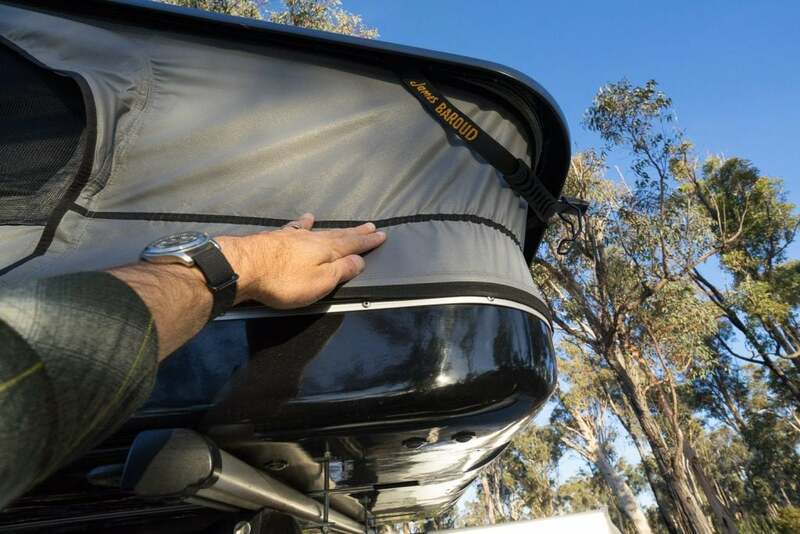 Inside there is storage pockets at the feet end, as well as a storage net mounted to the roof. 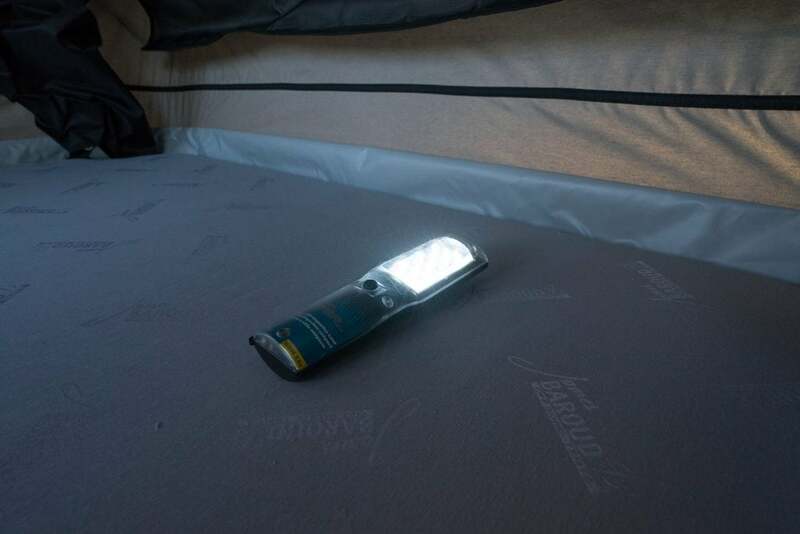 The Espace also comes with a handy portable and rechargeable light. 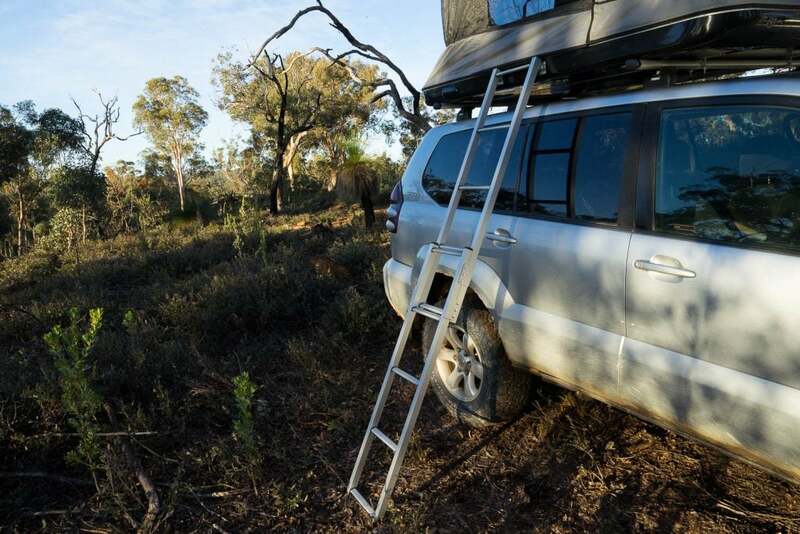 The access ladder is equally simple to setup. It almost appears too simple but the clips work perfectly. 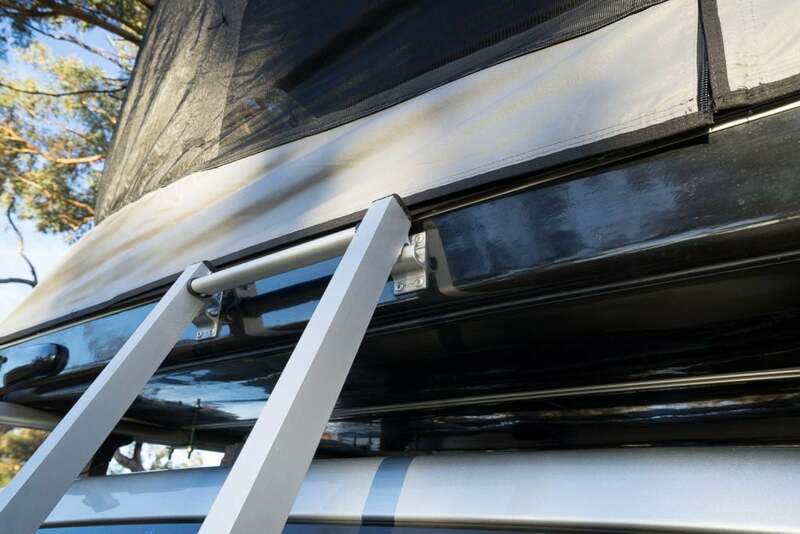 The ladder can be mounted either side of the tent. 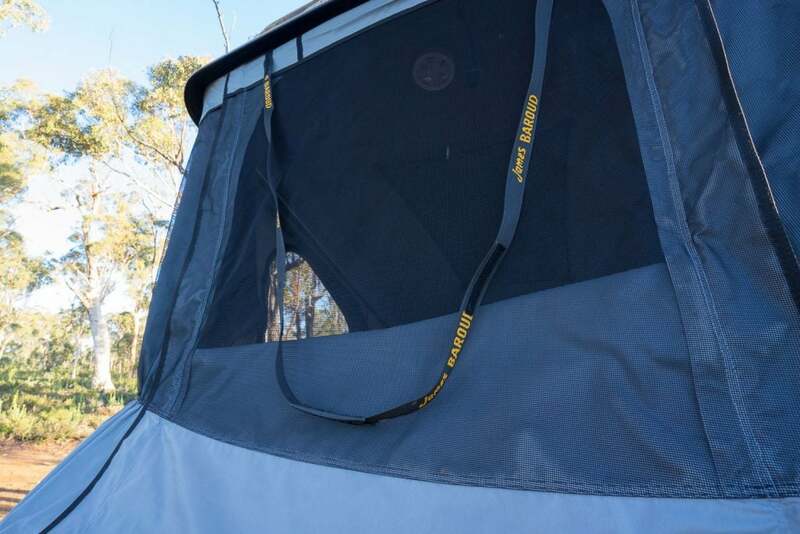 It simple hangs in place on the tent mounts. Permanent pins stop it from moving forward or back, and once the ladder is extended and grounded at angle it can no longer be removed vertical. No clips, bolts or hassles – just clever design that again makes things quick to use. 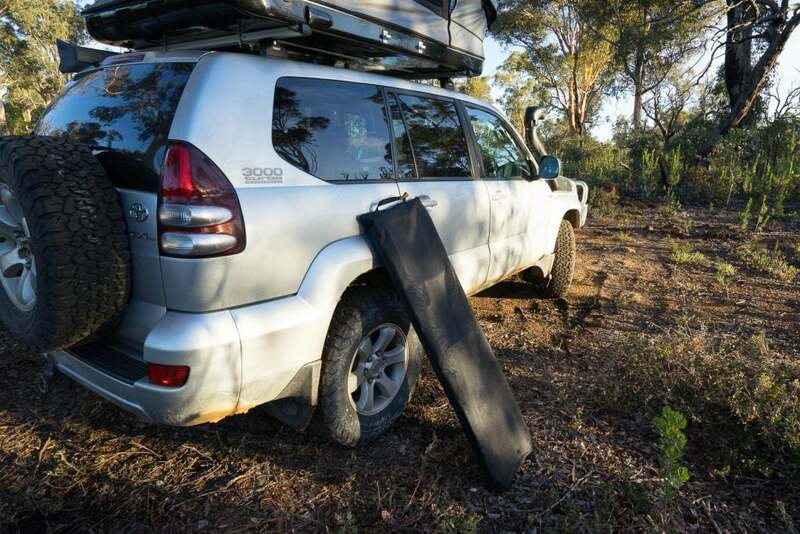 The ladders storage bag helps when placing a sometimes dirty ladder back inside the tent alongside bedding. Pack down is just as important. 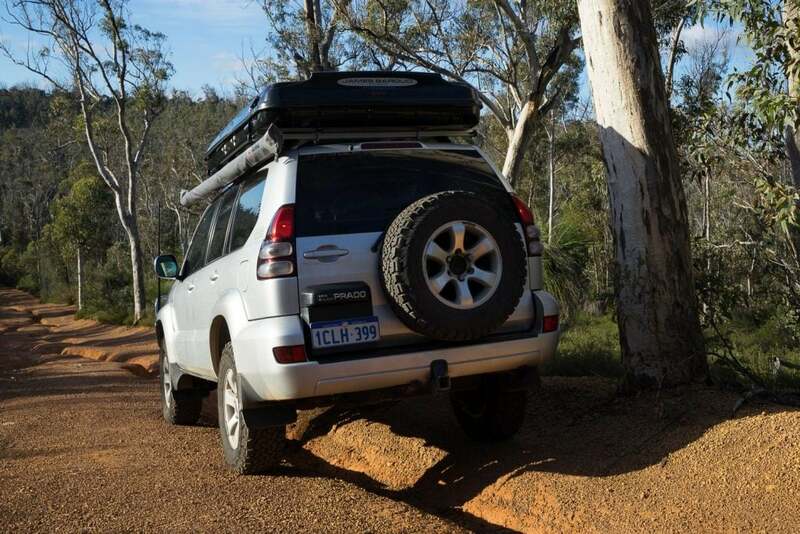 The ‘brochure’ says it’s a little slower but still quick – and that’s about spot on. Remembering bedding and mattress can stay put we are already pretty quick. Next, the ladder goes in its bag and up inside and we’re ready. There is very little fabric which means that if there has been heavy rain or condensation it’s easy to wipe this dry(ish) and pack it away. Elastic has also been sewn in to the fabric to help it pull in during closure. This doesn’t need to be connected or disconnected – it’s ready to go. The front and rear handles make it easy to pull the top shell down against the gas struts and it’s simple to then clip the top down. Off-road we are always conscious of weight up high. 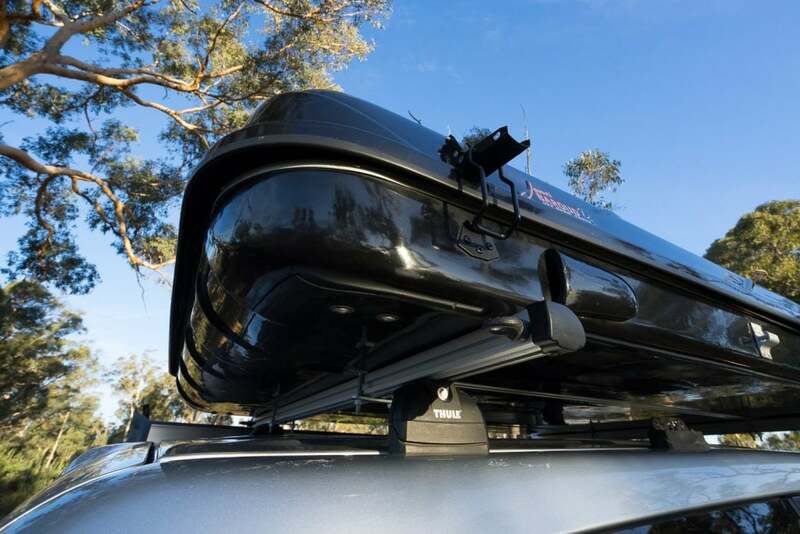 The James Baroud Espace Evolution weighs in at 60kg but importantly it’s slim. 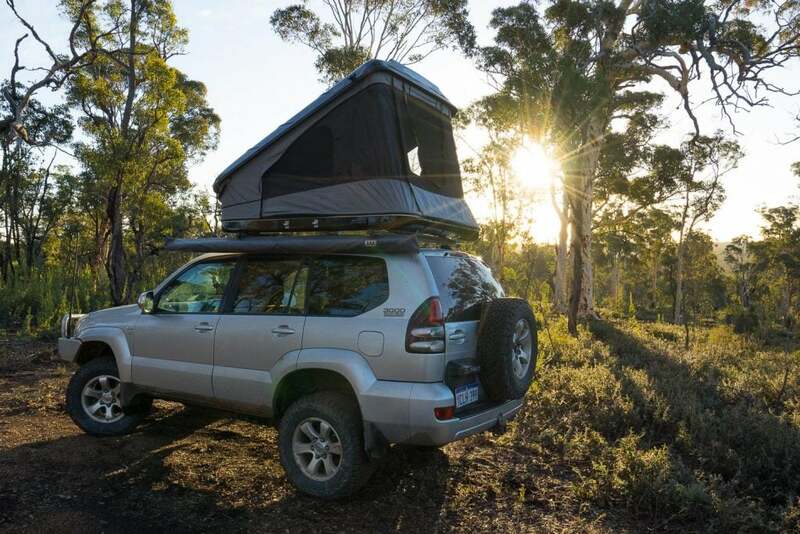 This lighter than many rooftop tents (being built from fibreglass), it’s slim vertically (so the weight isn’t too high) and it’s long (so the weight is spread along the 4×4). 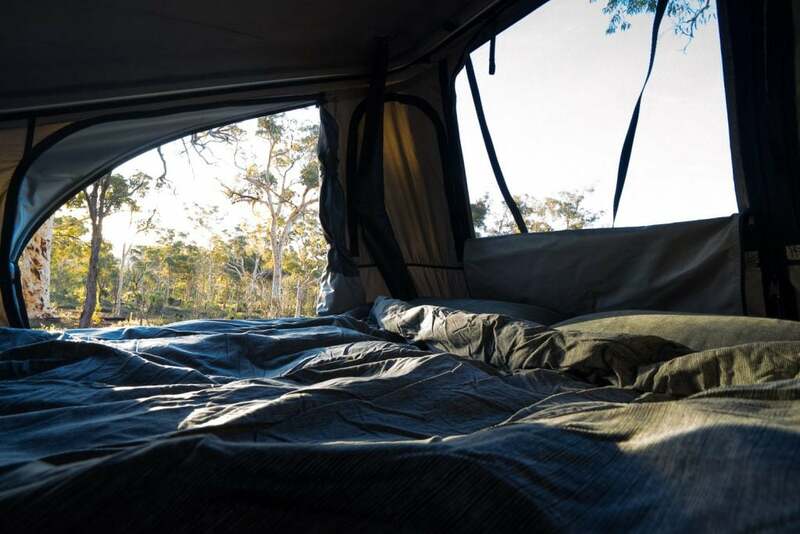 For trips when you’re coming in late, it’s wet and muddy – or everyday is a new campsite it’s hard to do better than a hard shell rooftop tent. 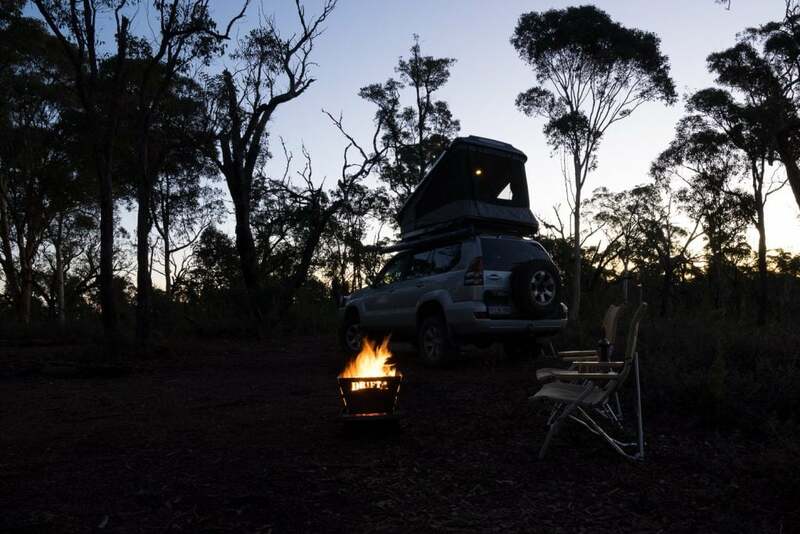 There is a freedom that comes with quick camp set ups – it can change the way you travel, the destinations seek and the types of places you enjoy to camp. 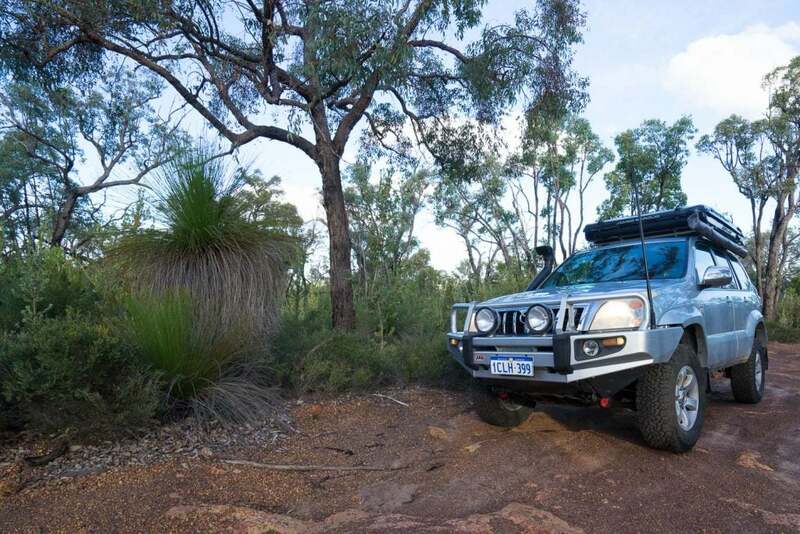 To buy or for more information visit AUTO BIVOUAC.